No groups under 25 years of age. We live near by and will greet you upon your arrival, and try to make you feel you're 'at home' for your rental time. FREE wireless internet access. We are situated in the family oriented resort complex of Ocean Lakes, with a 10 MPH speed limit and patroling security guards. 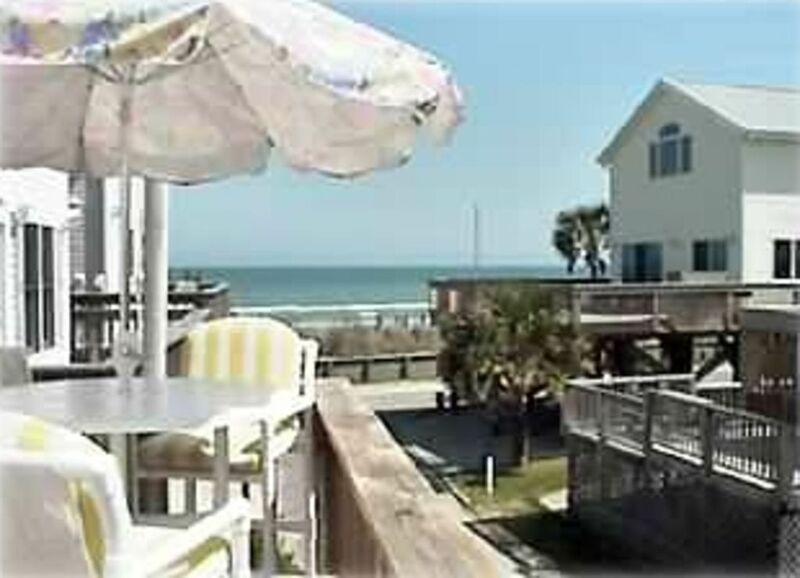 Located only 50 steps from the beach, it's easy to make drink and potty trips. Parking under the house for three vehicles. Pets NOT allowed, NO SMOKING inside house (deck only). Our complex charges $8./day/vehicle for parking, which will be paid directly to them. After booking is confirmed, you will be mailed an Express Check-in form for use in registering your vehicles. With our guarded entrance, 24-house security, and enforced 10MPH speed limit, you can feel comfortable to 'let the children go'. We have many on-ground facilities, including ocean side basketball and volleyball courts, horseshoes, lakes (fishing) and carpet golf, as well as several playgrounds, making this ideal for all ages. We have an Olympic-size swimming pool, indoor pool, snack shops, grocery store, nature center, oceanfront inflatable water slide, skate board area under the oceanfront observation deck and recreation center with planned activities. Also, provided at no extra charge, a wonderful, mile-long, private beach for use by our complex!